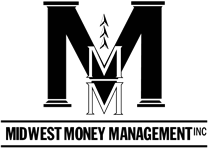 Wealth Management System | Midwest Money Management Inc.
Midwest Money Management is a technology-driven firm. Employing the latest investment and planning software available, our team is able to utilize top-tier resources to create and monitor the most effective strategies for our clients. Our Wealth Management System provides you with an online Client Portal that you can access from anywhere that you have internet connection. From that portal you can view up-to-date values of all of your assets and liabilities even those accounts that are not managed directly by our firm, for example, your company 401k plan or your home mortgage. Beyond just a living balance sheet, the portal also contains powerful reporting tools to allow you and us to track your progress and make sure that you are on course to achieve your goals. Our system also allows you to digitally store all of your important legal and personal documents in a safe, secure electronic vault. Once we have completed your plan using our Wealth Management System, not only will you have a stronger grasp of your financial situation, but so will we. To us, the real value of our system is not that it makes you a happier client, but that it makes us better advisors to you. Please watch the brief video below to find out more.